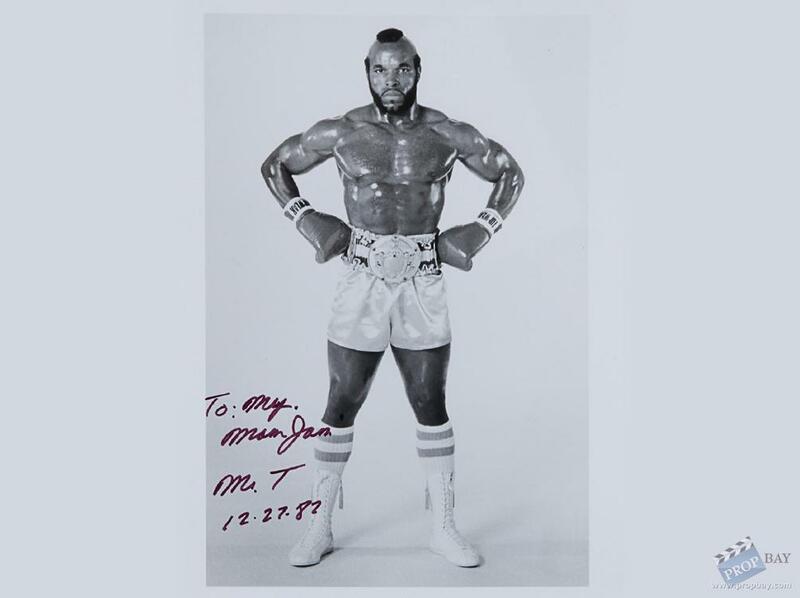 Mr. T's iconic blue and white screen used Rocky III silk boxing shorts. 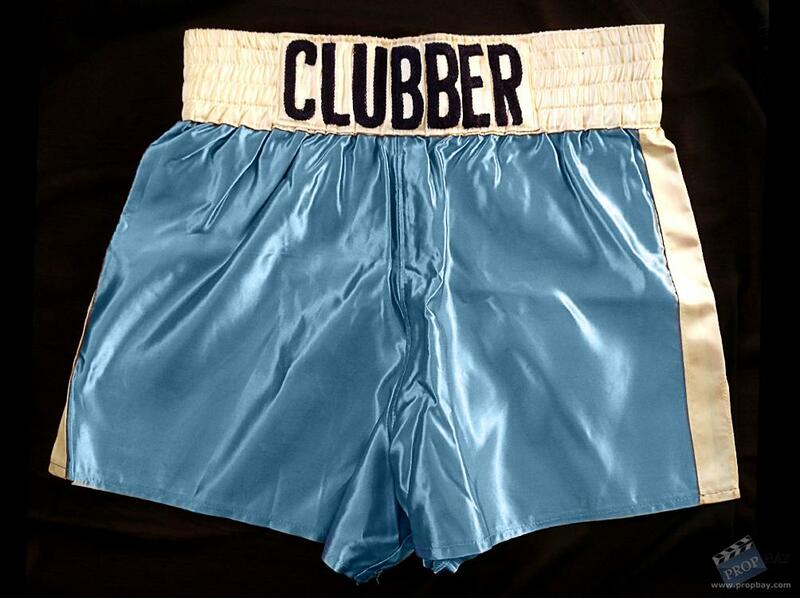 Worn in the infamous first fight with Rocky when he pushes and kills Mickey. Also clearly seen in the ring as he ultimately wins the title. Some expected usage/wear and color fading to the silk due to age and filming, but otherwise in good condition. Shorts come with complete documentation from Frank Stallone. 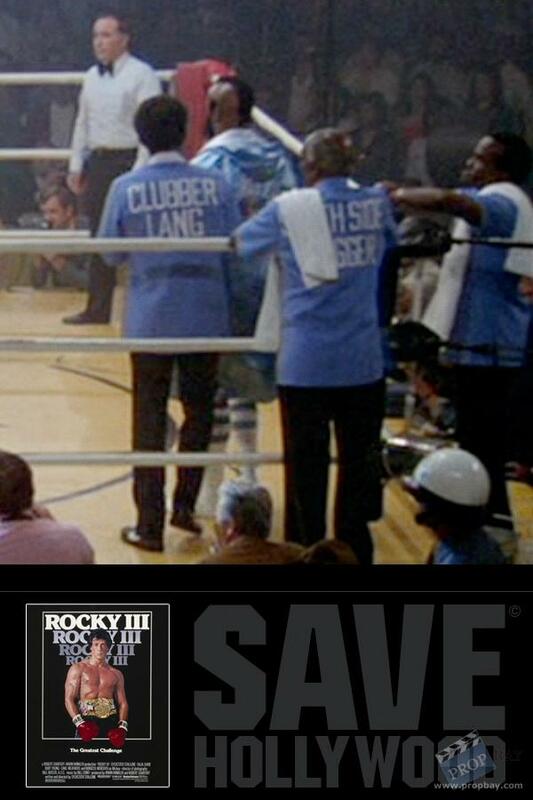 I would be open to loaning my ROCKY memorabilia to a sports museum for display. Please contact me if interested. ROCKY III (1982) MGM. Directed by Sylvester Stallone. Boxer Rocky Balboa (Sylvester Stallone) enjoys the wealth and fame he has as world-champion. 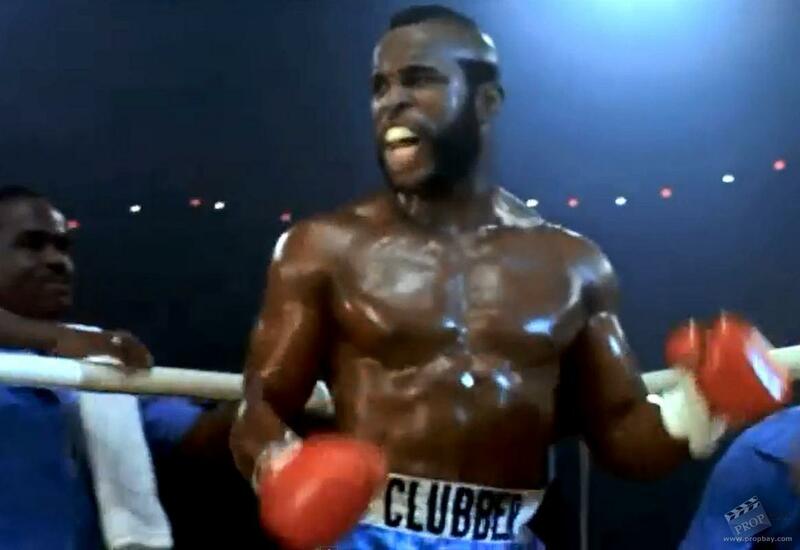 He only fights against opponents "hand-picked" by his manager Mickey Goldmill (Burgess Meredith) until being challenged by the arrogant Clubber Lang (Mr. T). 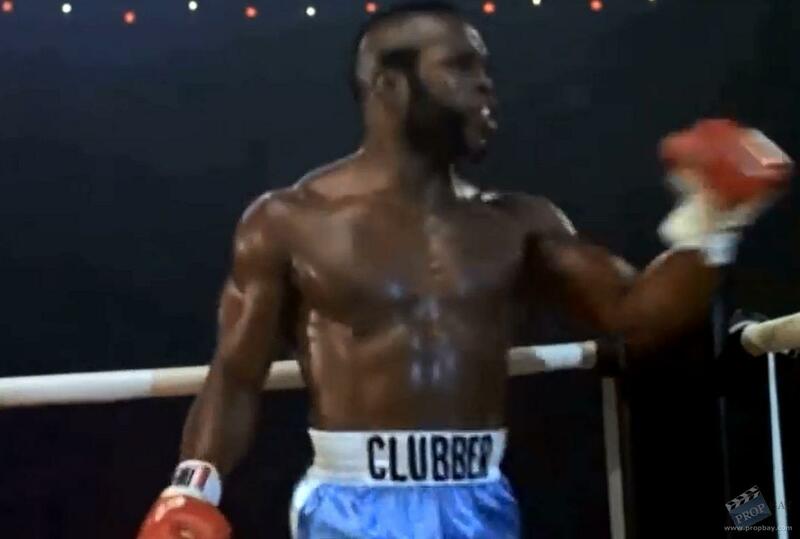 Rocky accepts the challenge to prove once more that there is only one true world-champion. Lang destroys an unprepared Rocky taking the title and belt from the once great champion of the world. Hope and faith in Balboa fades, except for one man: former world-champion Apollo Creed (Carl Weathers). Creed tries to stimulate his fighting spirit... the Eye Of The Tiger and get Rocky back in top-form, will Rocky get his edge back to reclaim the title? If you have any ROCKY props for sale, please feel free to contact me as I am always interested in expanding, changing and trading my collection. Added: 01-04-2015 - Viewed: 3476 times.